[Challenge!] 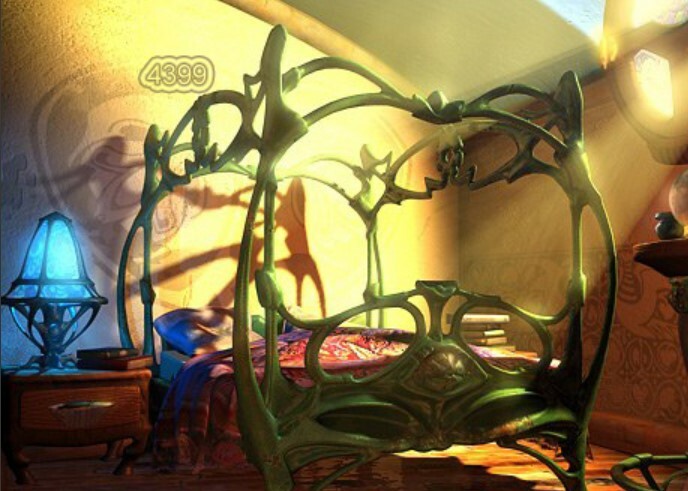 - 4399 Dream Trip is a premium Chinese hidden object game developed by 4399. In this game you are locked and are trying to escape by finding objects and using them in some really clever puzzles to open the final door. Good luck and have fun! Challenge: It's time for another challenge game. This time we found you a Hidden Objects game. And it's huge. Though there's a lot of Chinese text in the game this is not a language barrier, you should be able to finish it without any knowledge of Chinese language. Unfortunately our two testers are still recovering, so we are not able to provide a walkthrough at this moment. Meanwhile you are on your own! We suppose you could search the internet for a solution if you have no patience, but we're going to delay posting a video walkthrough until the EG24 game solving team (that means all of you!) have managed to puzzle through it and find a solution. Help us (and each other) escape by discussing, asking questions, and leaving good hints in the comments. first room: just make a fire and go out. second room: find some animals and put them in window. after 3 small (nearly invisible) crayons you have to find some tiny stones. I consider this to be tedious and indeed a language barrier, since I never knew what was going on or what was wanted. I could randum thru the game, there is no fun in that. Took a little break when searching crayons and the game changed to just a black screen with 4399 logo and I couldn't continue. You take the 3 crayons and color the animals. Then take the 6 stones and give them to the horse. used trowel to dig a hole (left lower screen) and suddenly had 10 trowels. Dug another hole (closer to door) and was left with 9. Is anyone else still slogging through this? Down to 3 trowels, 7 holes and I'm outta here. Good luck to all with more patience than I have! Bug in scene with the well. Unable to dig last hole for the object that opens the door. Unable to proceed. Shame! And yes, language DOES make a huge difference!! the number next to the trowel is how many times you use it. However, there were only 7 holes to dig. Look in the bottom right corner for the well handle and look in the hole farthest to the left for the key. When you've lowered and raised the bucket, wash the key in the bucket then use on the door. Yep, language DOES make a difference! Waaaaaaaay to much random clicking. I know that I have played this game somewhere else before. The scene with the "tree house" and the rope bridge is very familiar!!! Gotta Red X this one! This game is some kind of online version of Dream Chronicles, a PC game from some years ago. There is definitely a language barrier, don't know why EG24 thinks otherwise. Stuck in the third room with a third key. I can't minimize the puzzle to get back to the room. So, in the 7th room you should pick up books, set them in the bookcases, then take 1 book from the left bookcase and put it in the middle of the floor. Take a sphere from the top of the middle (or left, don't remember) BC, put it on the top shelf in the middle BC. Take a christal, put it in the open book then in the dark sphere on the top shelf in the right BC. In the 8th room you need to find cards - hard pixelhunting. Then put them in the pic on the rigth wall. 9th room - find 7 portraits and put them on the middle wall (I found only 6). Also you can find there a handle - put it in the piano. I can surely say there is NO LANGUAGE BARRIER. Ignore all these chinese writings and you'll get a good combination of hidden objects and escape game. For me it was far better, interesting and logic than any FEG. This is a super old PC game, titled: "Dream Chronicles". Walkthru should still be available online.